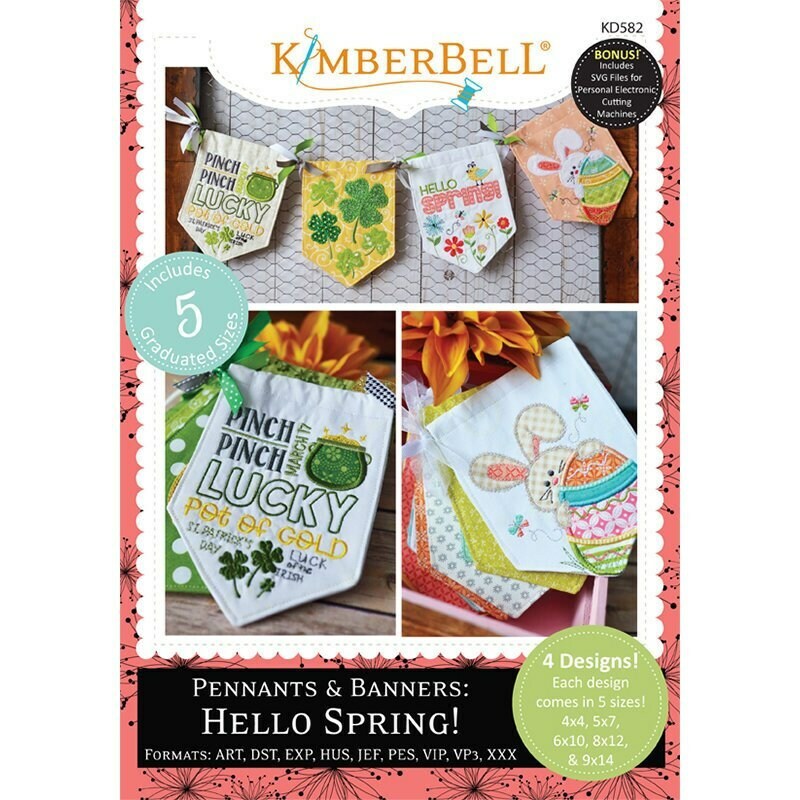 Sunshine and stitching are just what Dr. Kimberbell would prescribe after a dreary winter. 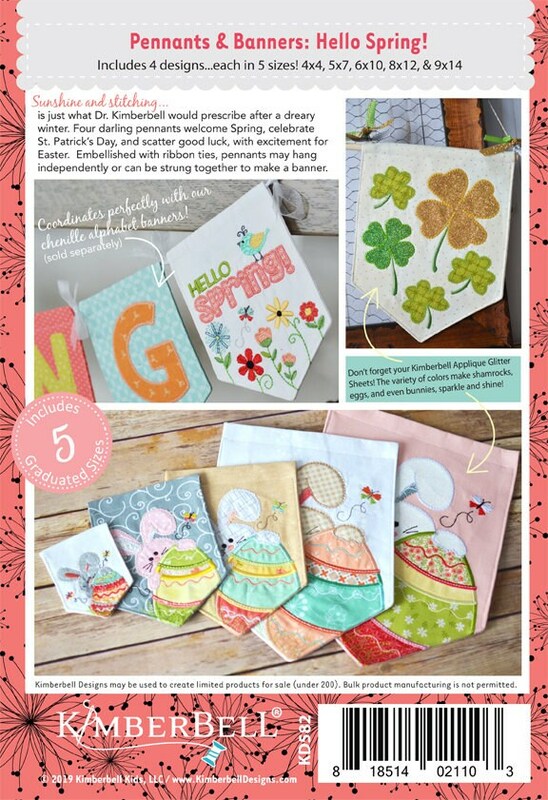 Four darling pennants welcome Spring, celebrate St. Patrick’s Day, and scatter good luck, with excitement for Easter. We’ve added sparkle with glitter applique and pretty pastel fabric and thread. Embellished with ribbon ties, pennants may hang independently or can be strung together to make a banner. Each design can be stitched in five sizes. Extra-small pennants are precious for ornaments or mini garland.